US military doctrine envisages the central role of “massive casualty producing events” in which innocent civilians are killed. 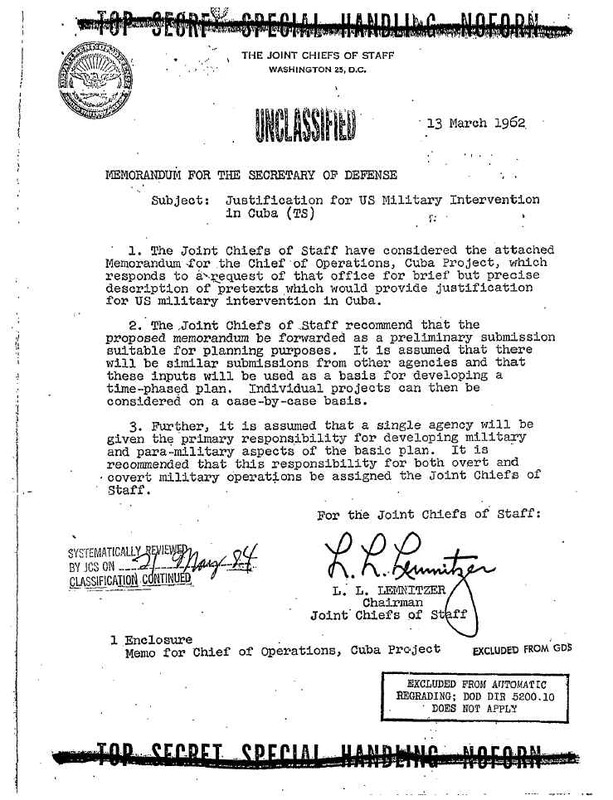 Under a secret 1962 Pentagon Plan entitled Operation Northwoods, civilians in the Cuban community in Miami were to be killed as part of a covert operation. The objective was to trigger a “helpful wave of indignation in US newspapers”. The killings and “acts of terrorism” were then to be blamed on the Cuban government of Fidel Castro. While the implementation of Operation Northwoods was shelved, its fundamental premise of using civilian deaths (described by the Pentagon as a “massive casuality producing event”) as a pretext for intervention (on humanitarian grounds) has been applied on several occasions in the post 9/11 era. The fundamental question: Were the May 2012 killings of civilians in the city of Houla part of a carefully planned covert operation, with the intent to drum up public support for a war on Syria. The deaths are blamed on the Al Assad government, with “casualty lists in U.S. newspapers causing a helpful wave of indignation.”. Meanwhile, several European countries, Canada and Australia have cut off diplomatic relations with Syria. This decision to isolate Syria was carried similtaneously by several governments. It was taken prior to the conduct of an investigation. A military intervention by NATO –which is already on the drawing board– is now being contemplated, following the statement of France’s newly elected president Francois Hollande. An outright war on Syria could potentially evolve towards a broader regional war extending from the Eastern Mediterranean to Central Asia. It is, therefore, crucial that World public opinion take cognizance of the media lies and war propaganda pertaining to the Houla massacre, not to mention the insidious role of the US-NATO sponsored death squads. (click link to read the original declassified document).